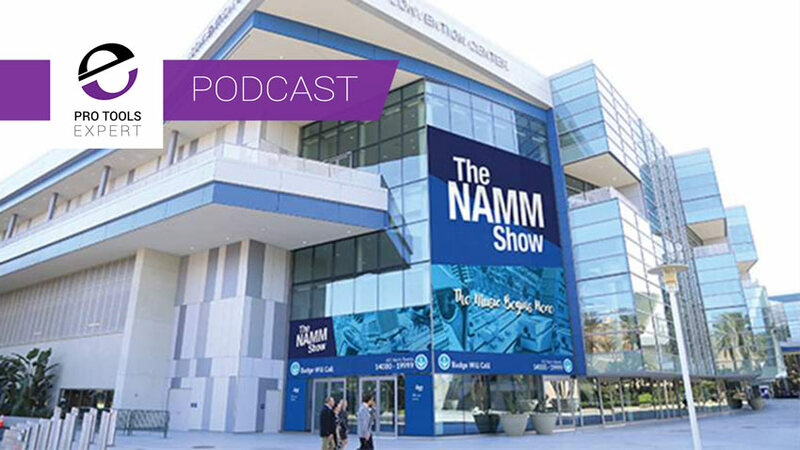 In this week’s podcast, Mike, Julian and James look forward to the NAMM show, discussing the products they are excited about seeing, they also pick up the 10 year challenge but instead of thinking about how they looked ten years ago, considering how their studios have changed in ten years. The team also answer your questions and share their finds of the week. NAMM 2019- What are we looking forward to seeing? Ten Year Challenge - How have our studios changed since 2009? David Thomas - Is one of the Editors of the BBC News Quiz and wants to feed back that he’ll keep Alan’s comments about levels in mind next time he’s editing the show! Shawn Rogers - has a comment about how pleased he is to discover the mapping features in Pro Tools for third party controllers. And if you're at Winter NAMM this year, be sure to stop by their booth 16128 to see the unveiling of their newest microphone, the multi-head Vanguard V7. Shane Cook - Wants to know whether it is possible to audit a Pro Tools 12 session with Pro Tools First? Peter Jackson - Wants advice on how best to combine an Apollo 16 and 8 with a Neve 8816 & 8804.